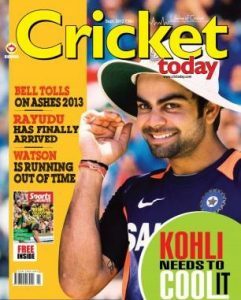 Some of the best sports magazines in India include Sportstar, Cricket Today, Sports Illustrated, Golf Digest India, Sports Plus, 90 Minutes and more. What are the top sports magazines in India? Sports magazines gets you the latest trends, news, and articles that are relevant to any sports fan. Leading Indian cricket magazine’s covers articles on current cricket season, news and analysis on cricket world cup, Twenty20, Indian Premier League (IPL), women’s test cricket, test match scores, county cricket and more. Provides in-depth articles on latest cricket news, fixtures, result, and match preview. Quarterly cricket magazine covering news and analysis on ICC cricket world cup, ICC world Twenty20, Indian Premier League (IPL), county cricket and more. Product reviews, techniques, events, and numerous other running-related topics are covered in this magazine. Get up-to-the-minute sports news coverage, scores, highlights and commentary for NFL, MLB, NBA, College Football, NCAA Basketball and more. Bodybuilding magazine, with tips, interviews, profiles, and detailed photos of famous bodybuilders and workouts. Sports News coverage on cricket, hockey, soccer, tennis, basketball, and golf. Readership, quality of writing, variety of topics covered and helpfulness of articles were all taken into consideration when making this list. Most Magazines can be read on iPad, iPhone, Android devices and the web.